Now is a good time of the year to clear out all the old claims cases and get them checked over for possible recovery opportunities. We assist many clients in identifying and reducing claim leakage through conducting periodic closed case audits. A member of DRA’s recovery team conducts an onsite visit periodically as agreed, reviewing each closed case and actioning those cases that have a potential for recovery. DRA is responsible for all expenses involved. We can audit paper cases or conduct an audit of your paperless cases online. A paperless review can be done remotely or on-site. 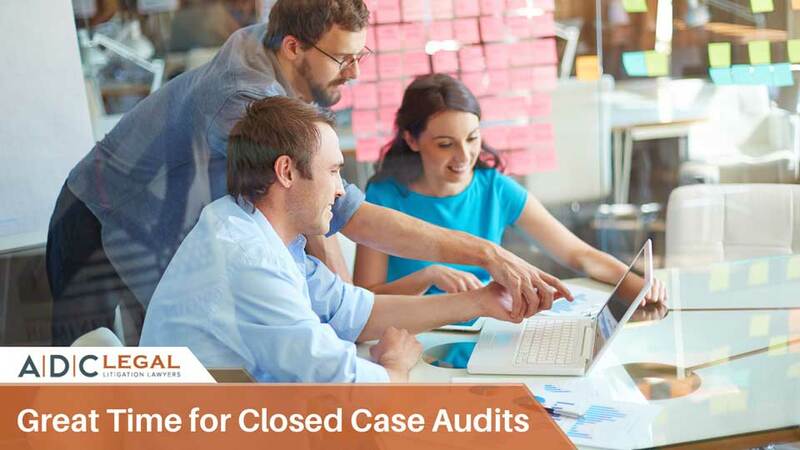 Closed case audits result in many of DRA’s clients experiencing increased recovery rates while reducing their claims costs. If you prefer a professional to handle your debt collection issues, outsource immediately to us at ADC Legal. Let us tell you how we can help your business! Email us at email@adclegal.com.au or call 1300 799 820. Talk to us about your litigation or dispute concerns via Skype at adclegal. Adam Stewart has worked in the fields of motor vehicle insurance and debt recovery for over 12 years, working with some of the largest insurance and debt recovery companies in Australia. In 2002, he established Debt Recoveries Australia Pty Ltd, a debt collection agency specialising in the insurance claims industry. Adam is also the owner of ADC Legal, a legal practice specialising in commercial advice and litigation, debt recovery and insurance claims recovery disputes.